Lola is an African American girl who acknowledges the positive and negative aspects of having big hair. She is aware it is bigger than the hair of other children in her school, but she is not discouraged from looking on the bright side of having beautiful, big hair and showing it! This upbeat and colorful picture book will leave anyone reading it with a confident attitude! 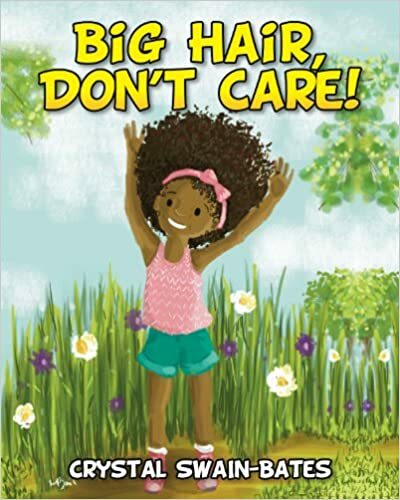 This children’s book represents self-love and knowledge because Lola promotes self-confidence and acceptance by embracing her natural, big hair; even when she sees other kids stare. It is also a reinforcement to all children that if they are different; they can be proud of who they are and remain optimistic in every situation. I would use this book to practice writing skills, build self-confidence and self-appreciation. I would have the students start by writing a list of their own characteristics. They would then be instructed to write WHY they are happy that they possess that characteristic. What is good about it? Why? They can work on it by themselves or involve their relatives and/or friends. If they are having trouble identifying a positive reason, a discussion may help them realize they have much more to offer than they think! They would have the freedom to turn it into any type of literature they desire i.e., picture book, poem, short story, etc. The teacher should model the process and scaffold creative writing.